Don’t look just for someone to complete an annotated bibliography. Find a company with experienced and qualified writers to finish your task wonderfully well. 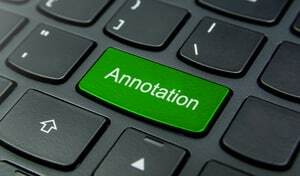 With the support and help of WriteMyEssays.com, you will easily get a paper that will be useful in completing a really impressive annotation. Why waste time and money on other agencies? Pick the one that has gained an understanding of your needs. Check whether the request is made before the approval of the task or at least within 7 days after its first confirmation. If at least one of the mentioned terms is violated, there’s no free revision a customer can count on. Sometimes a client may ask for some significant alterations to be made to a confirmed essay. If so, an extra fee is to be transferred via PayPal. In the case of the Progressive Delivery feature assigned to annotations, the revision deadline is extended to 21 days after the confirmation instead of 7. Starting December 17, 2016, the three-hour revision deadline is available once again. Till that time, the six-hour one is offered. WriteMyEssays.com holds the rights to extend the final term for any revision if the set time allows this kind of extension. It is done only per a request of a writer, who completes an assignment for money. If you decide to switch a freelancer, don’t forget to add extra 12 hours to the set deadline. Why? This time is needed to find a new penman to solve your troubles. We offer both full and partial refunds to those, who submit requests after problems occur. This feature ensures the safety and confidentiality of any customer. Though all requests are investigated within a 3-4 day period, when it comes to quality-based ones, our experts need 14 days. When you are not fully satisfied with the quality of the purchase you pay for, yet you still accept it to revise on your own, the company ensures a partial refund. The application is submitted via a Request button that you can find on your Personal Order page. In the list that appears, choose the ‘I-am-not-fully-satisfied….’ line. If the option is chosen, customers are provided with the MS Word versions of annotated bibliographies. After that, they have 14 more days to submit the reasons for dissatisfaction along with the papers to support the claim. The Dispute Department will guarantee an up to 40% refund for the service you were provided. A customer may fail when sending specification and data for dispute resolution. The failure occurs when the arguments aren’t delivered within 14 days from the time the paper is approved. After this term no refund is possible. The same term goes for all types of partial refunds. One of the questions asked is whether we are confidential. While filling in a form to ask for affordable assistance, a client is always asked to provide some personal information: name, address, email address, and phone number(s). Whatever the topics are, we are here to cover them all for cheap. Order and buy your custom written annotated bibliography from us, have contacts with the Support Team whenever you need, enjoy the free revisions service, and get a better picture of what high quality writing for sale really is.